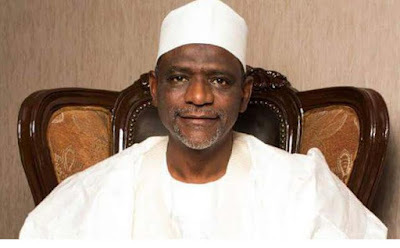 The Minister of Education, Mallam Adamu Adamu, has pleaded with the striking members of staff unions in Nigeria’s tertiary institutions to be patient with the Federal Government. He made the plea last Thursday during the 10th convocation of the Federal Polytechnic, Offa, Kwara State, where 2,352 HND holders, including 796 full-time students and 1,767 students in the OND category, received their certificates. Commending the management, staff and students of the polytechnic for sustaining a peaceful academic environment, the minister described peace and tranquillity as the fertilizers that keep the seed of development growing. On his part, the Rector of the institution, Dr Lateef Olatunji, counselled fresh graduates of tertiary institutions to explore new areas of business, instead of looking for white collar jobs. “To forge ahead in life, volunteer to do the things that no one else wants to do and do it well. Accept responsibilities. It will make you stand out and become indispensable among your peers. Be honest, transparent and shun discrimination along ethnicity, religion and gender lines,” Olatunji said. He also urged the graduating students of the institution to tap from the abundant entrepreneurial skills gained in the polytechnic to launch themselves into self- employment, saying that it would be to their advantage and complement government policies towards taking the country away from a mono-economy. Olatunji, who disclosed that the institution had commenced Bachelor of Technology programmes in affiliation with the Federal University of Technology, Minna, said a large number of courses offered in the polytechnic were accredited by NBTE. In his address, the Chairman of the Governing Council of FedPoly Offa, Chief Oseloka Zikora, said the institution was ready to establish a skills and entrepreneurship centre that would empower graduate and undergraduate youths, as well as those who could not benefit from formal education. Zikora said the areas of focus included technical and vocational trades, such as automotive mechanic and mechatronics, ICT and electrical installations, bricklaying and masonry, as well as plumbing works. He also said that funding was required to take the polytechnic to greater heights as he solicited the intervention of financial and corporate institutions, development partners, alumni association and non-governmental organisations.